If you have sensitive teeth, then brushing, flossing, eating, and drinking can lead to sharp pain. Usually this pain is the result of worn down tooth enamel, which can expose your tooth’s roots. If you’re concerned about pain from sensitive teeth, you should visit a Tucson dentist to discuss your different treatment options. One of the easiest ways to alleviate pain from sensitive teeth is by switching your toothpaste to one designed for sensitive teeth. After using desensitizing toothpaste several times, you can help block the pain that arises when you eat something cold, hot, or sour. Your dentist can further help block pain by applying fluoride to the area where the root is exposed. Fluoride helps strengthen the tooth enamel, so it can help prevent further wear of your teeth. Though desensitizing toothpaste can help block pain, it doesn’t target the source of your pain. The best way to learn what is causing your sensitive teeth is by scheduling an appointment with your dentist. If your tooth roots are exposed, he or she may recommend cosmetic dentistry to cover exposed root surfaces. Your dentist can also apply a sealant to cover the exposed tooth root. If changing toothpaste and covering the roots doesn’t significantly help alleviate pain, your dentist may recommend a root canal. A root canal is a cosmetic dentistry procedure in which the root pulp is removed entirely, which helps eliminate the source of pain. Your dentist will likely recommend switching to a soft-bristled brush to help prevent sensitive teeth from recurring. It’s important to avoid vigorously scrubbing or brushing your teeth, as this can wear away the enamel. If you unintentionally grind your teeth, your dentist can also make a mouth guard for you to wear at night. At John Carson, DDS, our Tucson dental team is truly focused on helping our patients reach their personal treatment goals. We provide comprehensive care, with each step improving a patient’s overall health and beauty. Call (520) 355-4855 to schedule an appointment with a Tucson cosmetic dentist. Even though tooth decay is preventable with good oral hygiene, it is a growing problem among children between the ages of six and 19. 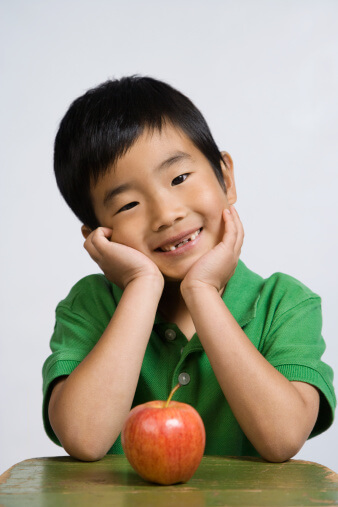 In fact, according to WebMD, more than 40% of children have cavities by the time they reach kindergarten. As a parent, you can help your child avoid becoming a part of this statistic by teaching him or her about oral hygiene at an early age. Even before your baby’s teeth begin to grow, you can use a baby toothbrush to gently brush his or her gums. You can also effectively clean the gums with a soft washcloth. Once the teeth do appear, you should start brushing the teeth twice each day with an infant brush and fluoridated toothpaste. When two teeth begin to touch each other, you can start using floss. It’s especially important to start brushing and flossing right before bedtime, so that your child doesn’t eat or drinking anything besides water until morning. Putting your baby or child down for a nap with a bottle of juice, formula, or milk can actually lead to tooth decay. As your child naps, the sugary liquids can cling to his or her teeth, which will feed mouth bacteria responsible for tooth decay. If you need to give your child a bottle for him or her to go to bed, stick with water. When your child is around two or three, you can help him or her begin to brush his or her own teeth. One way to encourage your child to brush is by allowing him or her to take an active role in his or her oral hygiene. This means taking your child shopping and letting him or her pick out the brush and toothpaste. At John Carson DDS, our Tucson dental team is dedicated to building a strong, lasting relationship with our clients. We provide advanced, comprehensive dental care, including dental crowns and root canals in Tucson. Call (520) 355-4855 to learn more about our range of services. 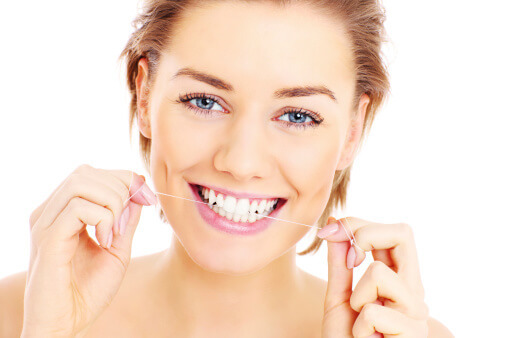 In terms of preventing periodontal disease, flossing is actually more important than brushing. Unfortunately, dentists routinely hear a variety of excuses from their patients looking to justify their poor flossing habits. The following is a breakdown of common myths dental patients cite to excuse not flossing each day. The purpose of flossing isn’t just to remove food debris from in between your teeth. It is actually the most effective way to remove dental plaque that accumulates between teeth. If the plaque remains, it can trigger gum inflammation, periodontal disease, and tooth decay. Eventually, failing to floss can even lead to tooth loss. If you have difficulty with the mechanics of flossing, there are many tooth-cleaning options to help. Floss holders are Y-shaped devices that can hold a piece of floss between the two prongs. This allows you to floss your teeth using only one hand. Using a floss holder can also help you ensure you floss the backs of your last molars, which are more difficult to reach. If flossing is painful or leads to bleeding, then you likely have gingivitis, which is an early stage of gum disease. Even though it may initially be uncomfortable to floss, continuing to floss each day can help prevent advanced stages of gum disease. If you are still bleeding within a week or two, then you should consult your family dentist. Your dentist can help advise you on different types of floss to use on teeth that are very close together. Usually, waxed floss or floss made of slippery polytetrafluoroethylene can help you reach in between these tight spaces. John Carson DDS is a Tucson dentist providing advanced, comprehensive dental care to help you feel confident in your dental treatment. Our office centers dental care completely around your needs and goals in a welcoming environment. To speak to a Tucson cosmetic dentist today, call (520) 355-4855. Periodontal disease can range from mild gum inflammation to a more serious condition that results in damage to the soft tissue and bone supporting the teeth. 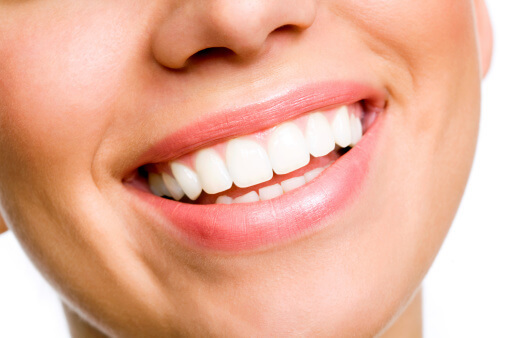 In extreme cases of gum disease, the gum and teeth are so damaged that teeth are lost. If you are in an early stage of gum disease, you can help slow the progression by caring for your teeth and talking to your dentist about your treatment options. Your mouth is filled with bacteria, which combines with mucus and food particles to form plaque. The best way to get rid of plaque is by brushing and flossing your teeth each day. The longer plaque remains on your teeth, the more likely it will harden and turn into tartar. The only way to remove tartar on your teeth is by visiting your dentist’s office for a professional cleaning. If you fail to remove plaque buildup, the bacteria can start to irritate your gums, causing the first stage of gum disease known as gingivitis. What are the risk factors of gingivitis? Though bacterial buildup is a main cause of gum disease, there are a variety of other factors that can increase your chances of developing periodontal disease. One of the most significant risk factors is smoking, which can also lower your chances of successfully gum disease treatment. If you are female, you may also experience hormonal changes that make your gums more sensitive and susceptible to gum disease. Initial symptoms of gum disease include lasting bad breath, red and swollen gums, as well and tooth sensitivity. As gum disease progresses, you may experience pain while chewing or notice your gums receding. If gum disease becomes very serious, your teeth may become loose and fall out. If you are experiencing any initial symptoms of gum disease, contact John Carson DDS at (520) 355-4855. Our Tucson dental practice offers high-level treatment in a warm, comfortable environment. 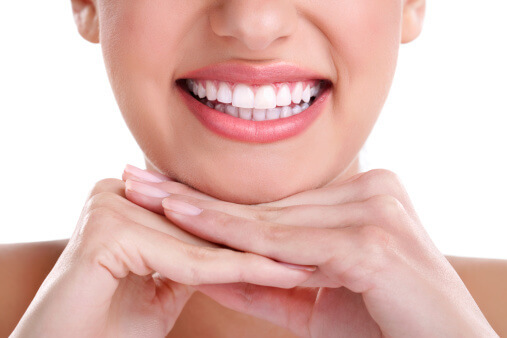 We offer a range of cosmetic dentistry services in Tucson, including dental crowns and teeth whitening. From children’s toothpaste to sensitive teeth and natural toothpaste, there is no generic toothpaste to fit every family’s needs. In order to choose the best toothpaste for you and your family, it’s important to compare all of the options and their active ingredients. Once you research the available toothpastes on the market, you can find the right product to help bring about a healthy, beautiful smile, while reducing your family’s risk of developing gum disease. Unfortunately, a number of bubble gum or candy-flavored toothpastes actually contain toxic ingredients, including fluoride, sodium lauryl sulfate, and saccharin. Even though fluoride is an important cavity-fighting element, it can become toxic if swallowed in larger quantities. SLS is in a variety of household products, such as shampoos and lotions, but it can also trigger allergies and sensitivities. When searching for children’s toothpaste, be sure to look at the ingredient list and ask your dentist if you have any safety concerns. If someone in your family suffers from sensitive teeth, then exposure to hot, cold, or sour foods can cause considerable pain and discomfort. One of the most effective ways to treat this sensitivity is by finding the right toothpaste. By brushing with toothpaste designed for sensitive teeth, you will be better able to enjoy the foods you love without fear of pain and discomfort. 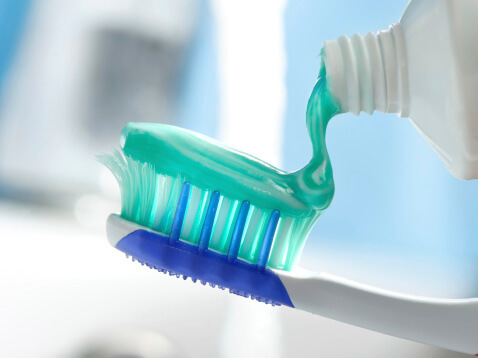 Fluoride has been a common ingredient in toothpaste for decades, as it has been shown to prevent tooth decay. However, swallowing a large amount of fluoride is highly toxic. In particular, children are at most risk because of their smaller size. In addition, children may be tempted to swallow fluoridated toothpaste if it is flavored like candy or bubblegum. The Tucson dental team at John Carson DDS can help answer any questions you have about general or cosmetic dentistry. You can schedule an appointment in our Tucson office by dialing (520) 355-4855. Our dental practice is dedicated to helping you feel confident in your treatment, with each step improving your overall health and beauty. Used to hold a replacement tooth or bridge in place, a dental implant is an artificial tooth anchored into a patient’s jaw. Dental implants are an excellent treatment option for people who have lost one or several teeth from periodontal disease or injury. The best candidates for dental implants are patients in good general and oral health, with adequate bone in their jaws to support the implant. A dental implant procedure requires a team effort between you, your cosmetic dentist, and the dental staff. Your dentist will first need to determine where and how your implant should be placed. From there, he or she will create a specific treatment plan that is tailored to meet your needs. 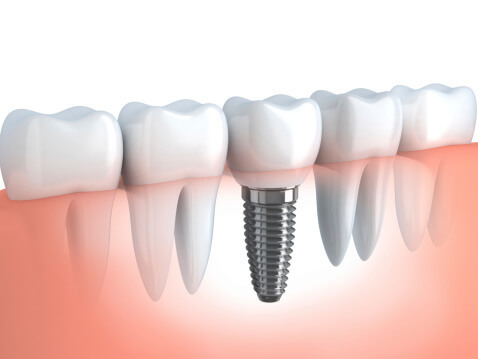 If you are only missing one tooth, then your treatment will involve using one implant and crown for replacement. If you are missing several teeth, you will likely need an implant-supported full bridge or full denture. The success of your dental implant procedure depends on the quantity and quality of the bone that will support your implant. Generally, the upper back jaw area is one of the most difficult places to place dental implants because there is limited bone near the sinuses. One way to correct this problem is through sinus augmentation, which raises the sinus floor and developing bone into a position that allows for dental implant placement. If you have a deformity in your upper or lower jaw, you may not have enough bone to place the dental implants. Your dentist can correct this problem by first lifting the gum away from the ridge and exposing the ridge defect. From there, he or she will fill the area with bone substitute, which increases your chances of successful implantation. If you would like to learn more about your dental implant and dental crown options in Tucson, schedule a consultation with John Carson DDS. Our Tucson dental team provides optimal dental care centered on our patients’ needs and goals. You can reach our office at (520) 355-4855.